After you have finished editing your project in Windows Movie Maker, you may want to play the project on some AVI-supported software players such as VLC Media Player, KMPlayer, GOM Player, MPC-HC, etc or AVI-certified devices like DVD Player or certain brand TV model. However, when you try to export the project from Windows Movie Maker, it only allows you to save as a .wmv file. The good news is that there are some third-party conversion applications can assist you to convert Windows Movie Maker exported WMV files to AVI file, if you are looking for a simple and free solution to get the job easily completed, Pavtube Free Video DVD Converter Ultimate can be the best choice. The following article will show you the detailed step to convert Windows Movie Maker files to AVI with this free tool with detailed steps. You can export WMM files to .wmv file by using the recommended settings offered by Windows Movie Maker. Step 1: Install and launch Windows Movie Maker on your computer, go to the ribbon and click or tap the Save Movie button found in the Share section on the Home tab. This bypasses all the complicated video settings that you might not understand and brings you right to the Save Movie dialog. Note: If you’re curious as to what video settings Windows Movie Maker deemed optimal for your project, click the arrow next to Save movie and mouse-over Recommend for this project. 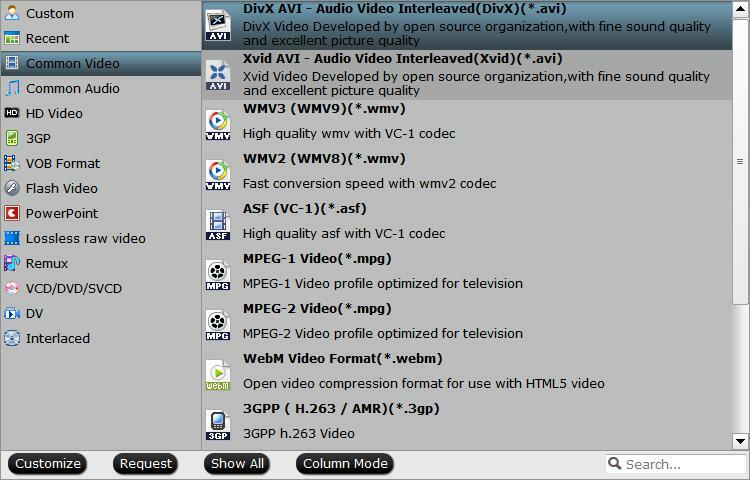 The recommended settings will saved your movie as a .wmv and you can then use the free Windows Movie Maker converter program to free convert WMM files to AVI. As a powerful yet simple to use free conversion tool, Pavtube Free Video DVD Converter Ultimate can assist you to convert Windows Move Maker files to AVI format with various different compression codec and file resolution like Divx AVI, Xvid AVI, DV AVI, AVI HD, Divx HD to satisfy your different usage. Besides converting Windows Movie Maker files to AVI, you can also use the program to export Windows Movie Maker to other popular video formats like WMV, MP4, MOV, MKV, FLV, ASF, etc or save as audio formats like MP3, AAC, AC3, WMA, WAV, M4A, MKA, FLAC, AIFF, etc. Click “Settings” on the main interface to open “Profile Settings” window, here, you can flexibly choose or specify exactly the parameters including video codec, resolution, bit rate, frame rate, audio codec, bit rate, sample rate, channels, etc as you like to get better output video and audio quality. Unlike some lower quality free video converters that try to install adware and other junk when you download them, Pavtube Free Video DVD Converter Ultimate is very clean and safe since it doesn’t feature any ads or bundled adware. The program is quite simple to use, any one can learn to use it in minutes. 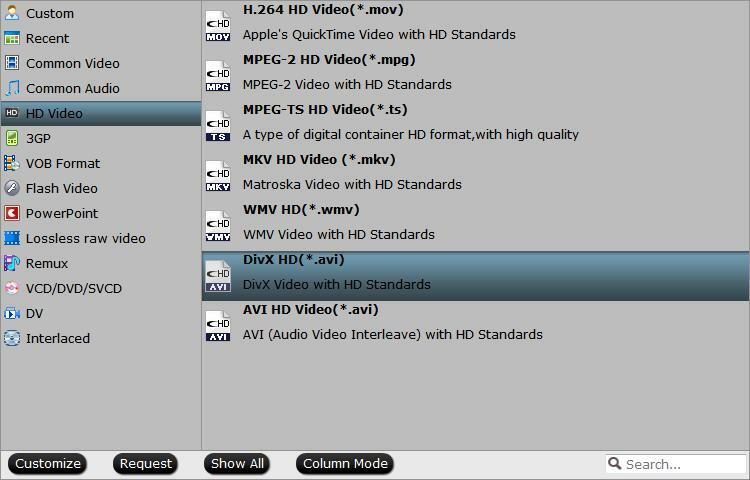 The batch conversion mode can assist you to batch load multiple video to save you a lot of time. The generated files by this free program are high quality, you can’t tell the difference between the output video and the original Windows Movie Maker files. How to Free Convert Windows Movie Maker Files to AVI with Pavtube Free Video DVD Converter Ultimate? Step 1: Load Windows Movie Maker Files. 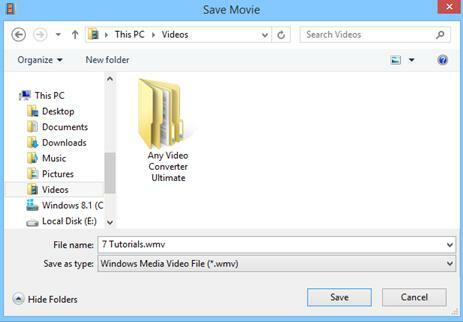 Download the free Windows Movie Maker Video Converter. Launch it on your computer. Click “File” menu and select “Add Video/Audio” or click the “Add Video” button on the top tool bar to import Windows Movie Maker exported WMV files into the program. Clicking the Format bar, from its drop-down list, choose one of your desired AVI file format according to your own needs. After all setting is completed, hit right-bottom “Convert” button to begin the conversion from Windows Movie Maker files to AVI format conversion process. When the conversion is completed, click “Open Output Folder” icon on the main interface to open the folder with generated files. Then feel free to play the AVI video with AVI compatible media player software or AVI certified devices. Windows Media Player Won’t Play AVI Files, Solved!